OMG the Pikachu Dance Troupe is too cuteeee! This Spotlight is sponsored by Resorts World Genting. It's gonna be an epic celebration of everything Pokémon! Don’t miss out on the Genting Pokémon Festival happening 1 December 2018 – 28 February 2019! 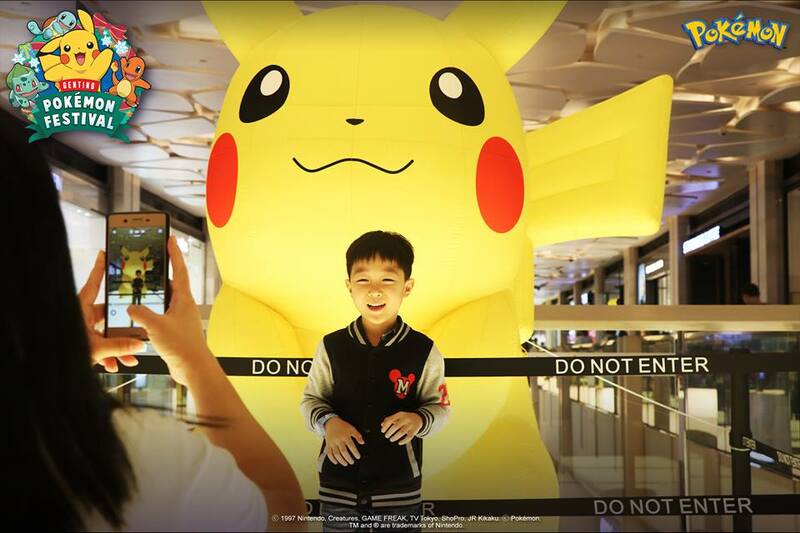 Snap photos with life-sized Pokémon figurines and try to catch 'em all by tracking down special creatures such as Cleffairy and Jigglypuff. 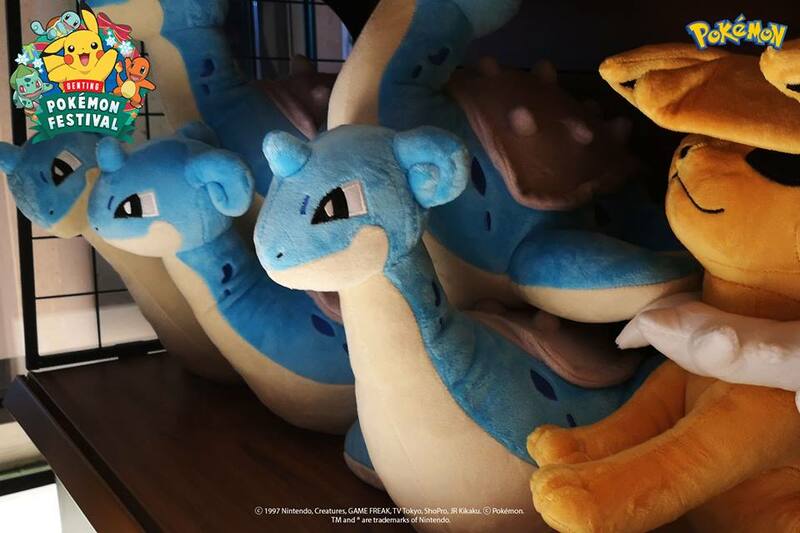 Also, make sure you grab exclusive merch imported directly from the Pokémon Centre in Tokyo at Level 3 of SkyAvenue and check out all the other activities happening! 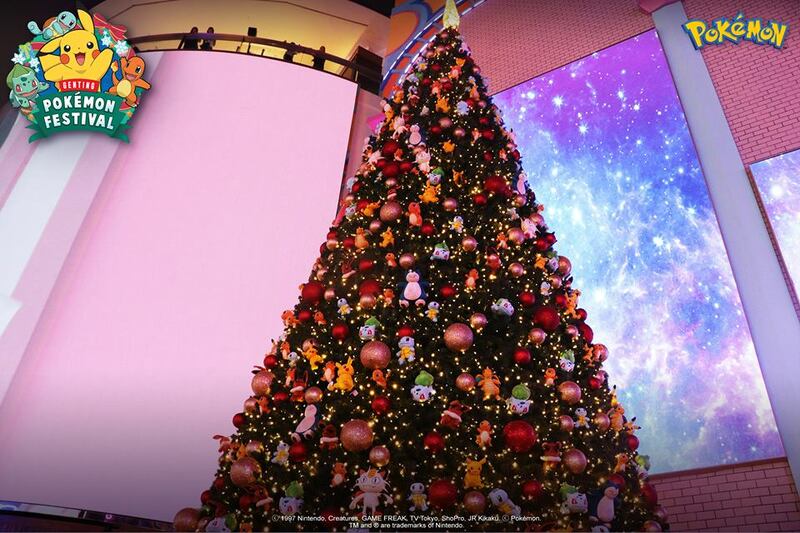 There's even going to be a giant Pokémon Christmas tree! The 40 ft. tree will stand tall in all its glimmering glory, with all your favourite Pokémon as fantastical decorations. Nearby is a 20 feet tall inflatable Pikachu with over 50 Pikachu plush toys surrounding it in the brand new indoor theme park Skytropolis Funland. Your eyes will be spinning from the galore of Pikachu! 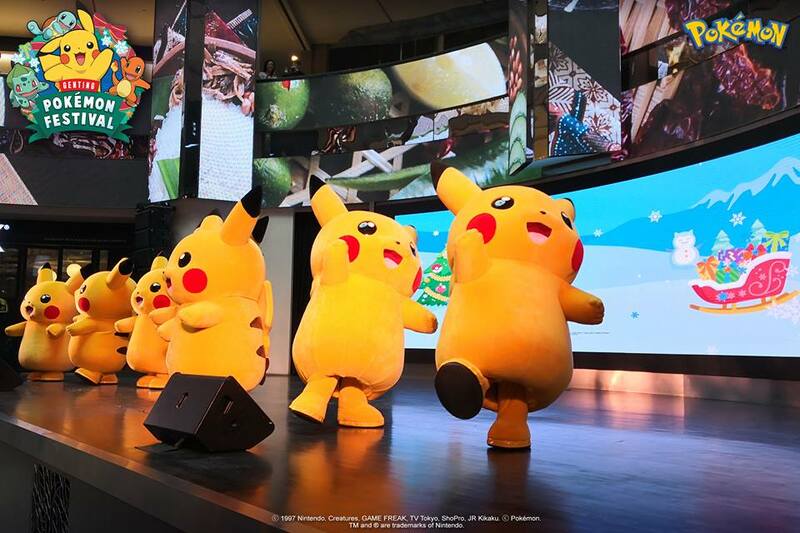 And make sure you don't miss out on the Pokémon Parade that will feature a Pikachu Dance Troupe - it's so cuteeeeee! Otherwise, get your kids to participate in the Trainer Program during Christmas and Chinese New Year season. Complete the missions and collect all 8 limited-edition Pokémon stickers at the Pop-up store. 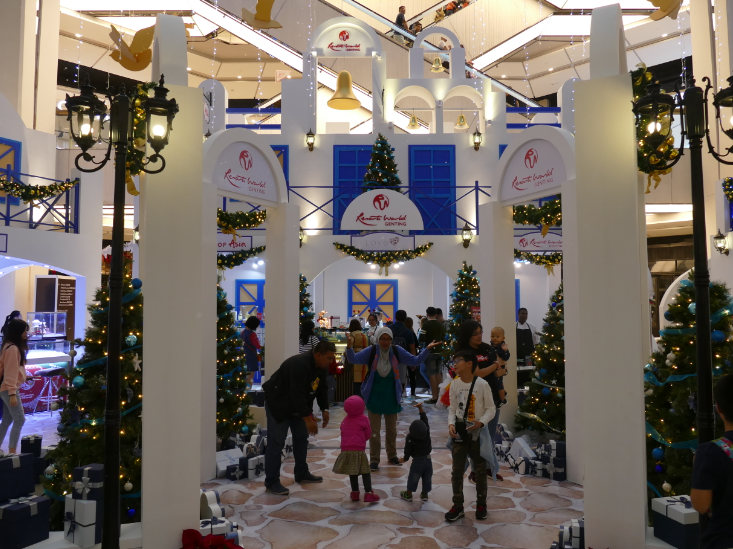 Santorini Village, Level 1 SkyAvenue - Visit the gingerbread house to enjoy seasonal treats and traditional Christmas goodies like gingerbread figurines, Christmas lollipops, chocolates, cookies, Christmas stollen, yule logs, and Christmas cakes. 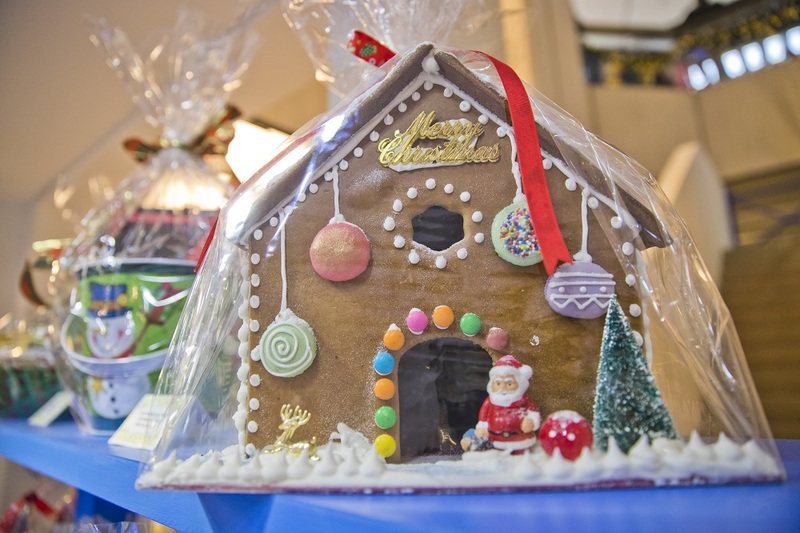 The Bakery, Genting Grand Hotel - Pick up some freshly-baked Christmas confectionaries and cakes like chocolate reindeer and a mini Santa! The Olive, Genting Grand Hotel - Indulge in a fine dining style spread of fresh oysters and foie gras tarts to precede a main course of either roast turkey leg or sous-vide Angus striploin created by award-winning Chef Redzuan. The Western fine dining dinner on Christmas Eve, Christmas Day and New Year’s Eve is at RM350.00 per person. LTITUDE, Genting Club - Choose from a main of sous vide turkey or herb-crusted salmon to accompany a starter of scallops and prawns, as well as a warming potato leek soup. This scrumptious dinner is priced at RM200.00 on Christmas Eve & Christmas Day and at RM280.00 for New Year’s Eve. Park Avenue Lounge, SkyAvenue mall - Sip on wine while you nibble on canapés like smoked salmon crostini, Christstollen roast chicken, and honey-glazed duck. Go for the RM250.00 set to get a bottle of wine or RM500.00 for a bottle of cava. For those with a sweet tooth, the Christmas High Tea feeds four with chocolate pralines, freshly baked scones, finger sandwiches and more at only RM128.00! 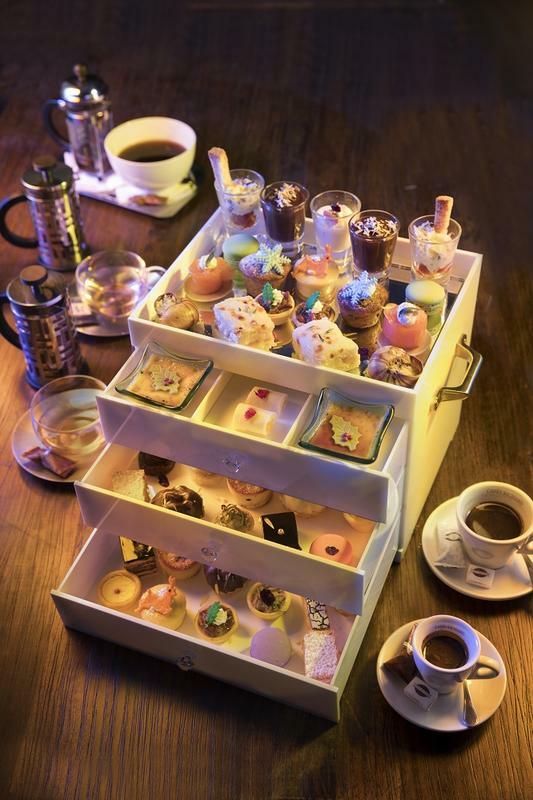 Cafés Richard - Pecan tarts, butterscotch eclairs, strawberry mille-feuille and crème brûlée will be served alongside lobster on toast, escargot, foie gras tartlets and duck rillette in a festive high tea. There will also be special Christmas drinks, including a Christmas tea and classic coffee drinks graced with creative Christmas latte art with a whopping total of 40 pieces of savouries! This fancy high tea set will set you back only RM198.00 and can feed up to six. A French feast for the whole family! Lake opposite Park Avenue Lounge - Count down to New Year's Eve at 6,000 feet above sea level with pyrotechnics! Public areas - Watch fireworks light up the night sky as you count down to 2019 at Resorts World Genting. Cloud 9, Genting Grand - Let loose and party hard at the White & Blue Christmas Party on Christmas Eve and New Year’s Eve. High Line, Level 4, SkyAvenue - Dine, drink, and dance the night away with live band NRG and the house DJ that will be spinning nightly whilst enjoying the cool breeze and the stunning views at this alfresco area! 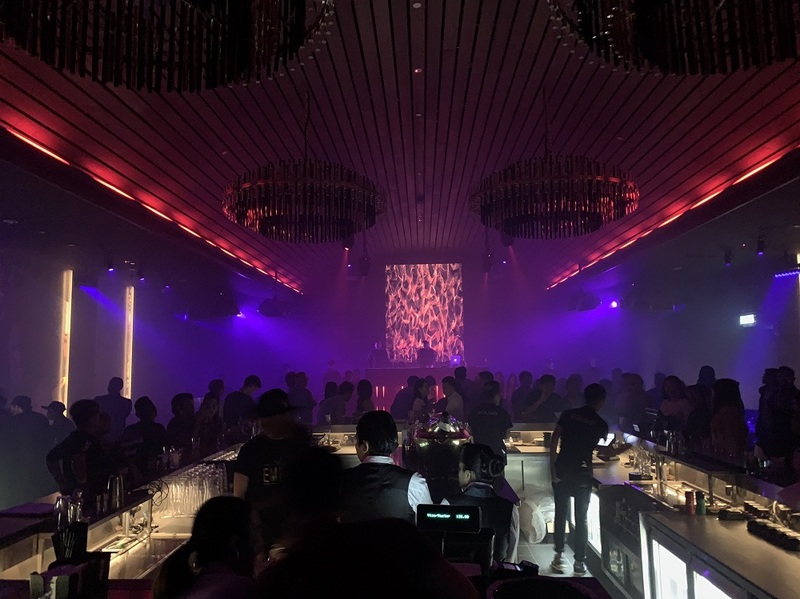 Empire by Zouk - Check out this brand new club that stems from a hip-hop themed, dual club-lounge that is reminiscent of the upscale, private lounges in New York. It covers 5,000 square feet with tongue-in-cheek artwork and a massive 20 feet long LED screen. Tickets are at RM50 per entry. Zouk Genting - Keep the party going all night long and celebrate this new branch of Zouk with an epic New Year's Eve party at RM50 per ticket including one drink. DJ Che Molly from one of Zouk Singapore’s repertoire of resident DJs will be on hand to usher in 2019. 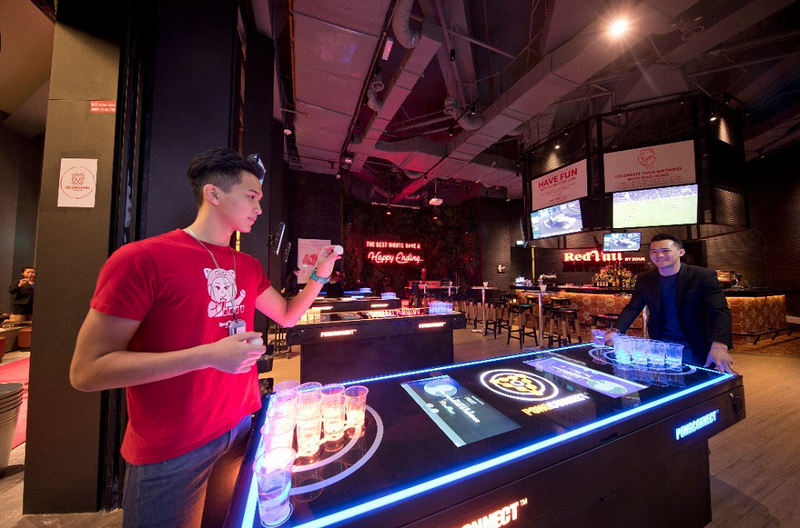 RedTail by Zouk - You'll never be bored at this social gaming lounge that has a huge variety of games such as Giant Beer Pong, Giant Jenga, fusball, and even electronic game machines. RedTail Karaoke - Have a blast singing hit songs with your friends in one of six rooms adorned with fun mascots such as Steve the drum-playing gorilla, Eddy the saxophone-playing panda, and Joe the break dancing flamingo. Experience a unique white coastal Christmas as the serene Santorini vibes mingle with twinkling Christmas trees, golden bells, sparkling lights, snow-covered trees, and festive garlands. Start making plans to head on up to Resorts World Genting now to make sure you don't miss out on everything they have going on for Christmas! Click here for more information on all their offerings. Say hello to blue nitro green tea!